There is a lot going on in this title. Many different characters, already established relationships from previous books in the series, several different settings to navigate. It would be easy for the story to waver under the weight of everything it is carrying – but there was no faltering to be found! As to the different settings – there are many literary takes on a boarding school backdrop, but this one stands alone for me in comparison to the others. No rosy glasses-d romanticism, nor ‘underdog against the odds’ conflict – the school space and the students and teachers who inhabit it come alive in a very real, natural way. The author’s language style and vocabulary choices are what make her book come alive. The characters are brought out in dazzling detail, with each nuance and personality quirk deftly defined. By the middle chapters, you know how a certain character is going to react, and you await expectantly for events to unfold. This was not a predictable work, far from it, but it felt natural, as if the next twist was the most logical thing to occur. Rather than the sharp turns, and edge of your seat danger of other mysteries, this one makes you pay attention, think, and with Ellie, try to outwit the culprit. 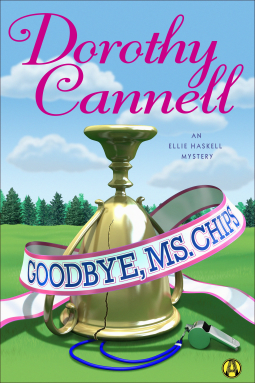 This is my first Miss Seeton mystery – and I am completely hooked. I will definitely be getting into this series! This book was wonderful. The amazingly unique characters stay with you, as the author’s unique flavor lingers long after you’ve consumed the last page. My two favorite, besides Miss Seeton, of course, are the Oracle and Sir George. The gentlemen take over the narrative at certain points, but they are so drastically different in their thinking and speaking style, that the reader knows exactly where they are and what is going on. The author’s skill here in character creation is something younger authors can learn a lot from! Also, I like mysteries that the reader can’t figure out from the first page. In this one, we had different pieces to what was going on – but Miss Seeton figures things out about the same time as the reader, which kept me engaged in the work. In all, a very fun read that I will be highly recommending!